I wasn't quite happy with my FPV equipment situation. 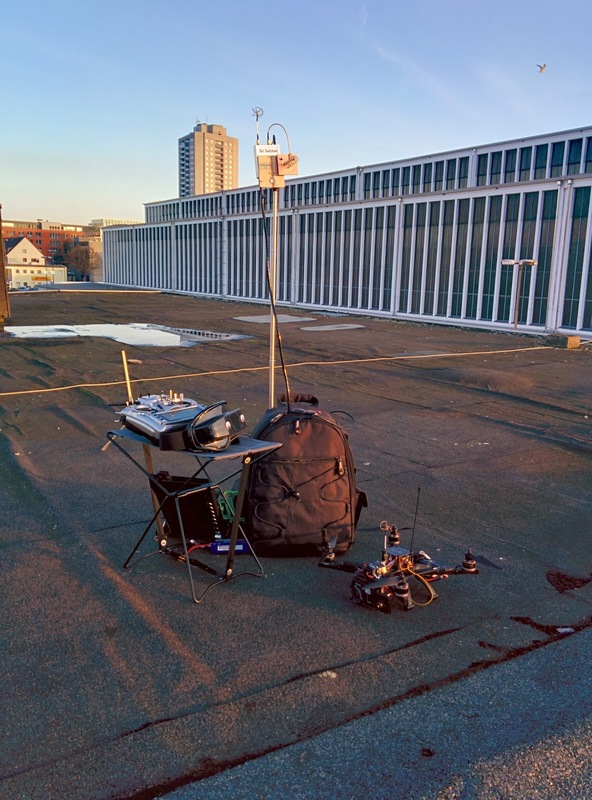 The receiver & screen was mounted on my transmitter (a Frsky Taranis) which made it heavy and clumsy. Transportation was difficult too. 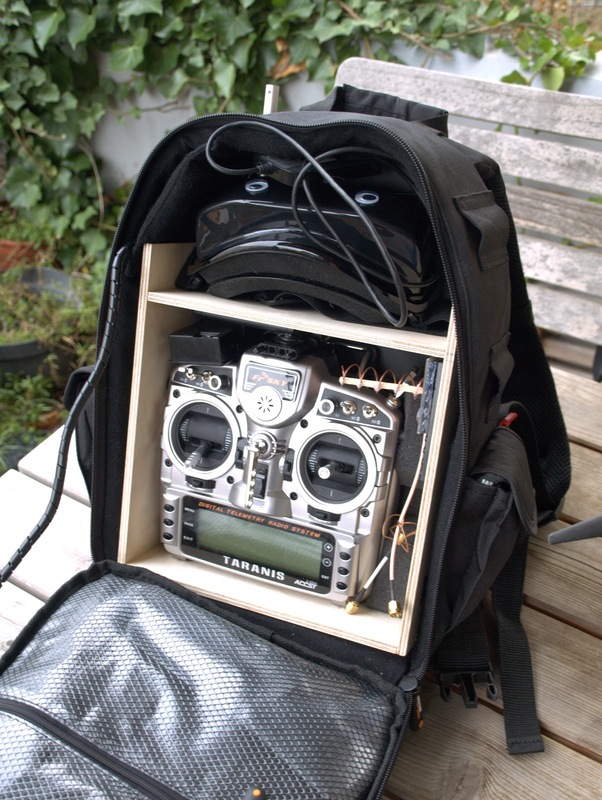 After getting some inspiration from other FPV pilots out there, I decided to build all my equipment into a small backpack. I chose an Amazon Basics Camera Backpack which turned out to be just right. The price was a plus too. 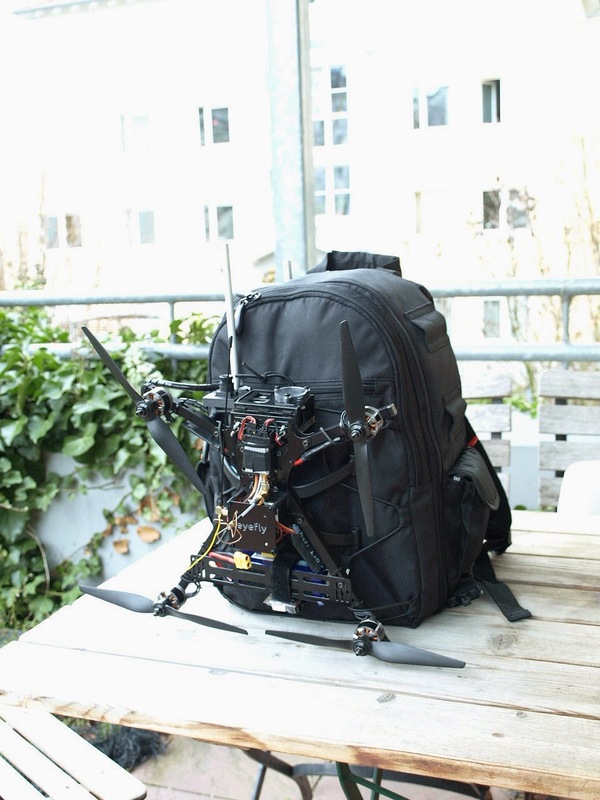 After some wood-working & cutting, I can now transport all my equipment and even a Quadcopter in just one small comfortable backpack. There's also room for additional stuff like tools and replacement propellers. A telescope pole built into the backpack allows an easy mount of the receiver antennas in a high position.